Canned fish is not really popular in India as yet. We Indians love our fresh catch of the day, from market to kitchen, cooked (and often consumed) on that day itself. I was introduced to canned tuna when I came to Dubai. Since, it has been an indispensable part of my pantry – tuna pasta, tuna pizza or a simple tuna sandwich. For me, this is an ideal go to food if you run out of fresh groceries or forget to stock up – canned tuna to the rescue! 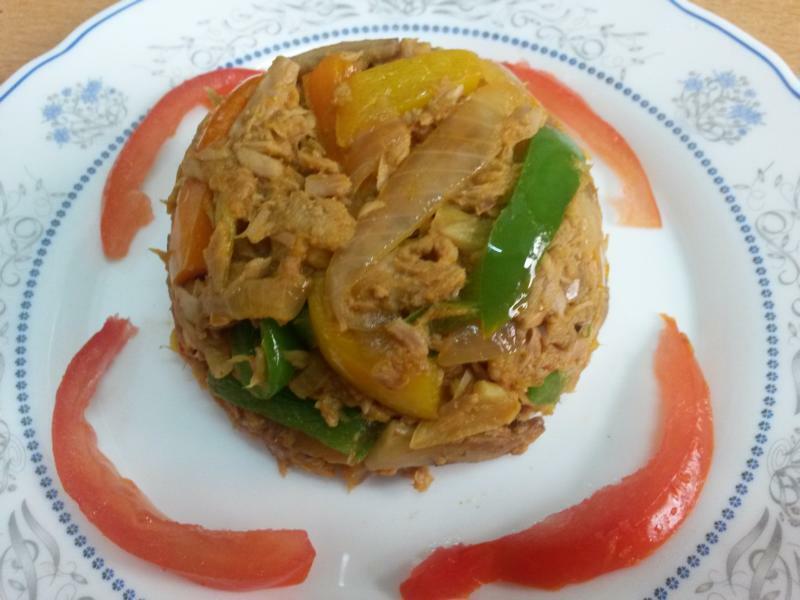 This tuna recipe has a slight Indian touch to it and everyone at home loves it. My mouth starts to water when I think about this. I add some veggies to it, to make it more wholesome meal. You can add vegetables of your choice. I have used button mushrooms, and bell peppers here. 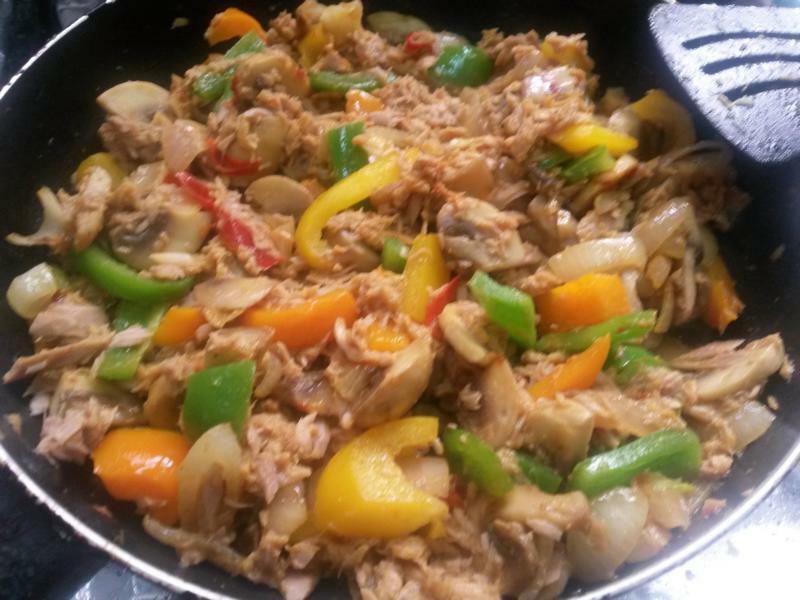 I use tuna in oil and I save the drained oil for cooking this dish. You can add more vegetable oil if needed. 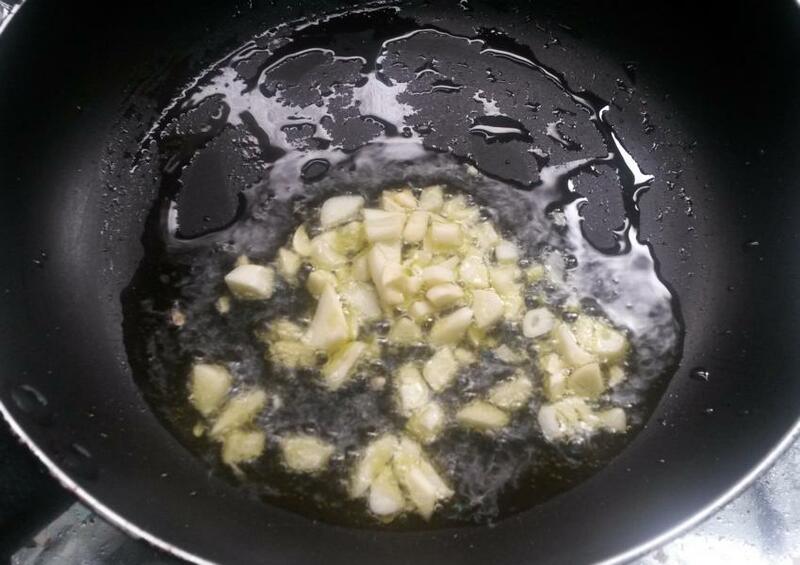 Add the drained oil to the pan. Add chopped garlic and fry for a minute. Add sliced onions and fry till onions turn soft and translucent. And here comes a hint of Indian spicy tadka – add sliced red chilies, turmeric, coriander and red chili powder. Sauté for two minutes till you can smell the roasted spice powders. 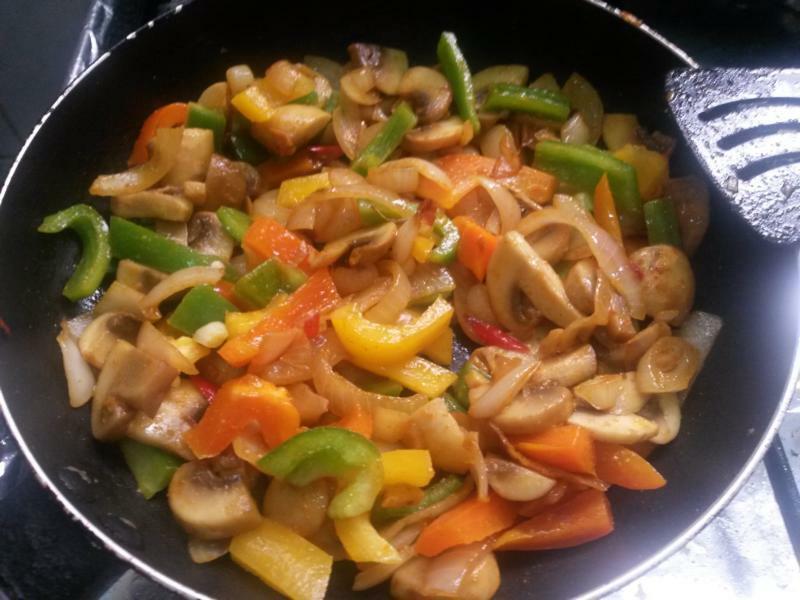 Add the vegetables – mushrooms and bell peppers and cook till mushrooms are done. Finally add the tuna flakes and salt if required. Mix well and turn of the heat. 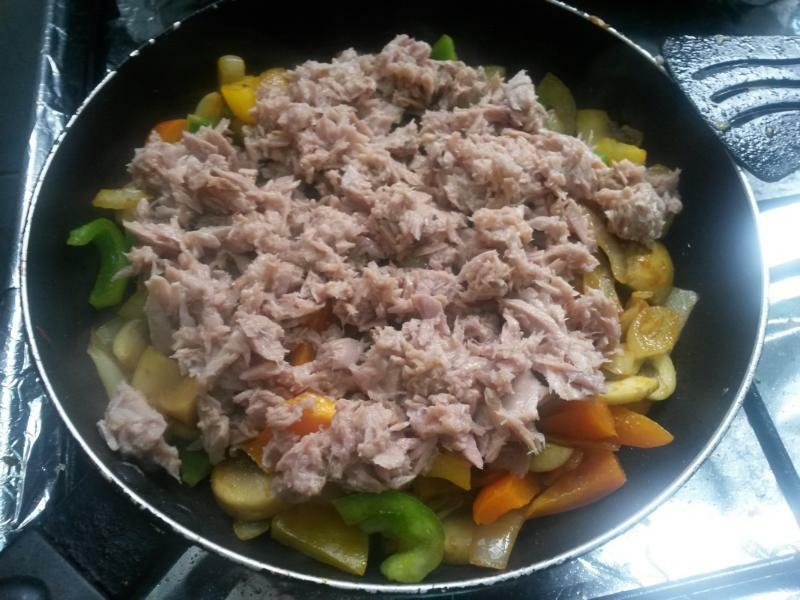 In a pan, pour the drained oil from the tuna and if that is inadequate, add 1 tblsp of vegetable oil. Then add the chopped garlic and sauté for a minute. 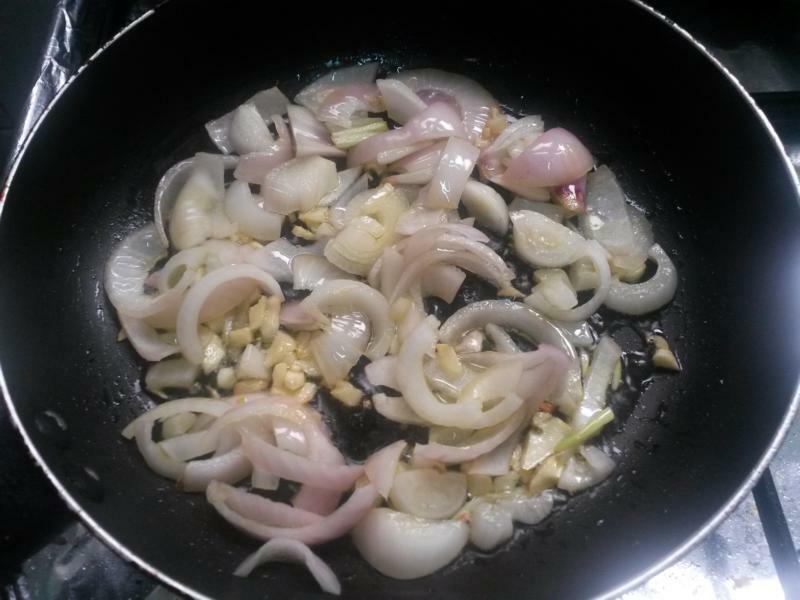 Add the sliced onion sauté for few minutes till the onion turns translucent and soft. Fo;;ow it ip with sliced red chilies and turmeric, coriander and red chilli powder. Sauté for a minute. Add the mushrooms, bell peppers and sauté. 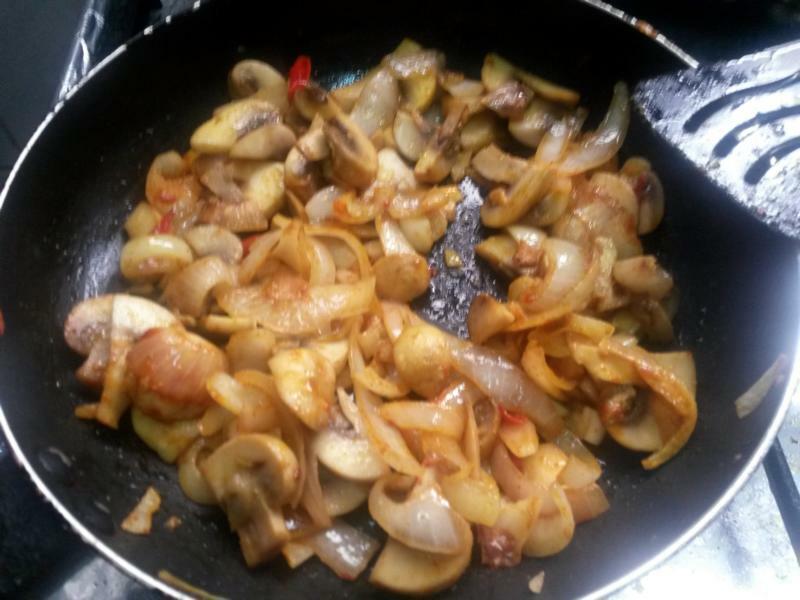 Once the mushroom is cooked, add the tuna flakes, salt to taste. Mix well and serve hot with chapati or paratha. Sounds very tasty and lovely!